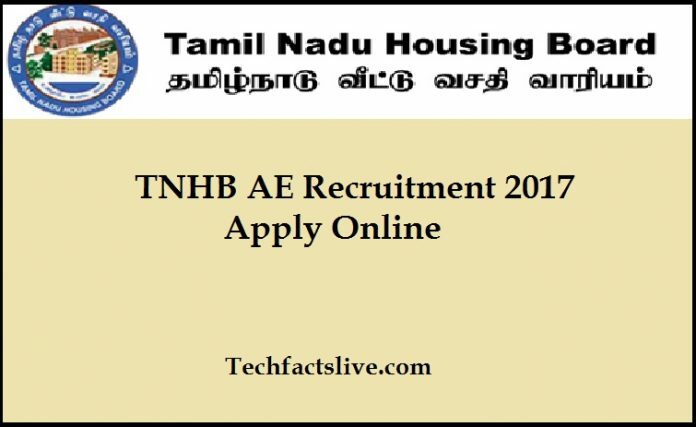 TNHB Junior Assistant Recruitment 2017: The Tamilnadu Housing Board has released TNHB Junior Assistant Recruitment 2017. Aspirants seeking for Latest Govt Jobs can utilise this opportunity to fill 277 Posts. Candidates have to refer the complete details regarding TNHB Assistant Engineer Vacancies and then start enrolling through online mode from 10th June 2017 at official website tnhb.tn.gov.in. Especially relevant information like education qualification, age limit, selection process and applications fee details regarding TNHB Notification 2017 will make available here. There are total 277 Junior Drafting Officer, Assistant Engineer, Surveyor, Technical Assistant, Junior Assistant and Typist Vacancies. The Applications online registration ends on June 30. Tamilnadu Housing Board (TNHB) was established in the year 1961. It is a Government organisation located at Tamil Nadu, India. The organisation is in the name of “City Improvement Trust” in order to cater to Housing needs of Madras City. It is developed into full fledged organisation as Tamilnadu housing Board. Every year organisation releases notifications as per the vacant posts. According to this information, now they have released TNHB Junior Assistant Recruitment 2017 to fill 277 Posts. Candidates should have completed 10th or 12th Standard, B.E/B.Tech or Diploma Engineering from any recognized Board or University. Aspirants consider age limit as important criterion. The age should be between 18 to 53 years. Candidate’s selection process will be on the basis of Written Examination and Personal Interview. Use the active link of TNHB Notification 2017. Shortlisted applicant’s pay scale will be Rs.9300 to Rs.34800 along with Grade Pay Rs.4700 and for post wise details refer official notification. Eligible candidates have to complete the Tamilnadu TNHB JDO Apply Online process through online at tnhb.tn.gov.in on or before June.